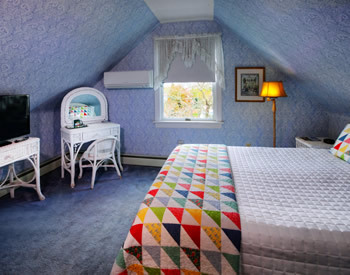 While the Luther Ogden Inn is a spacious house and a large property, we are a “small” bed and breakfast. 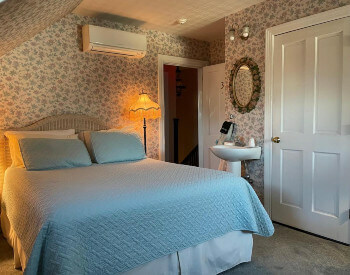 We have 4 guest rooms all with private baths, flat­-screen televisions, ductless heat and air conditioning system with remote controls, small electric fireplaces, and Wi-­Fi. 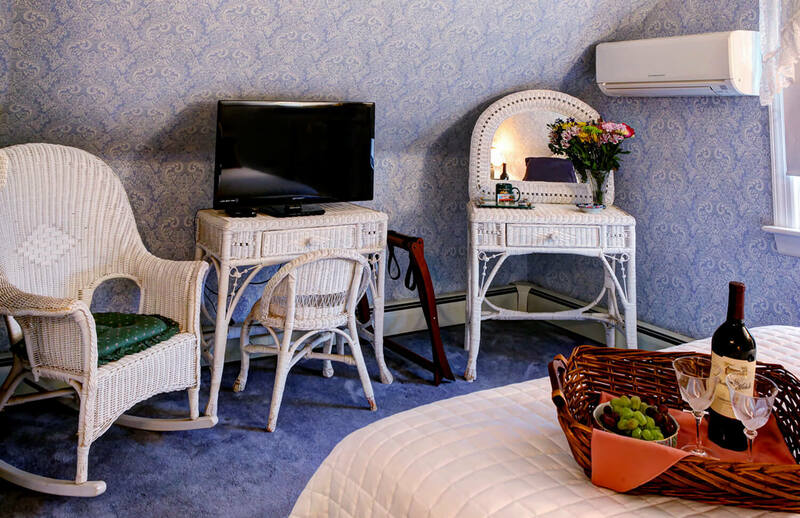 Each room has access to the Hospitality Room, which houses a refrigerator, microwave, a hot and cold spring water machine and coffee, tea, hot cocoa and cappuccino. The Hospitality Room also has a large desk for those guests who need to conduct business while on vacation. 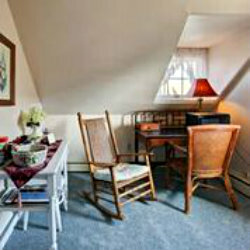 Menus to our local restaurants and rack cards of Cape May activities give our guests ideas of what to do while here. The Buttercup, the Morning Glory, and the Primrose have queen-­size beds. The Hydrangea has a king­-size bed. The Morning Glory, in addition to the queen bed, also has a twin day bed. 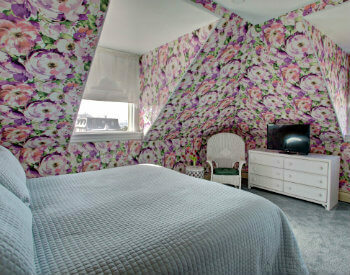 This room can accommodate up to 3 people. We are now offering an “opt-out of breakfast” plan. We know some of our guests would rather sleep in or really do not eat breakfast or have to check-out early to catch a plane or the ferry. Guests may now select our “Value Rate” on our reservation page. $14 per person per day will be deducted from the price of the room. All of our guests are welcome to enjoy coffee and tea in the morning regardless of the plan they select. A Hospitality Room provides guests with a large desk, refrigerator, microwave, hot and cold bottled spring water, coffee and tea, as well as hot chocolate and cappuccino.